Sony's Cyber-shot W830 is one of the lowest-priced point-and-shoot cameras that's worth having. It's a point-and-shoot compact with an 8x optical zoom, 20 Megapixel resolution and 720p video packed into a slim and light body, and offers a step-up from the cheapest compacts on the market while maintaining a double-digit price tag. For this kind of money you won't get Wifi or 1080p video, but the basics are there along with a useful zoom range, panorama mode and in-camera charging. In my book it's the best compact at the sub-100 price tag. 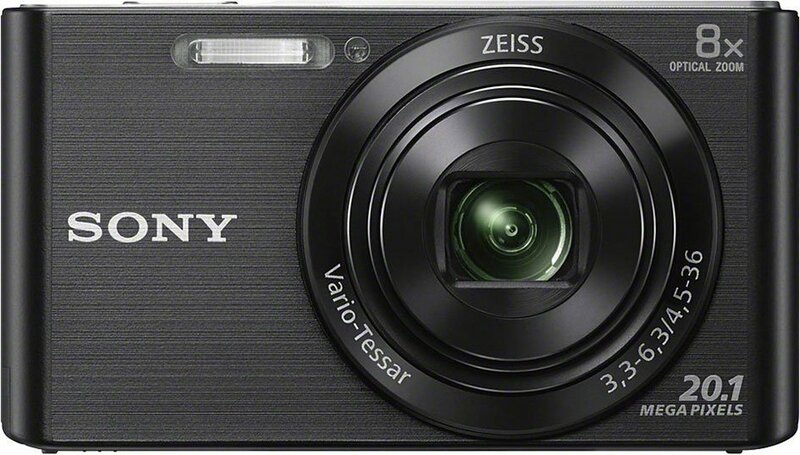 Check prices on the Sony DSC-W830 at Amazon, B&H, or Adorama. Alternatively get yourself a copy of my In Camera book or treat me to a coffee! Thanks! The Sony Cyber-shot W830 is a mid-range point-and-shoot compact with an 8x optical zoom and 20.1 Megapixel CCD sensor. Introduced into the Cyber-shot range at the beginning of 2014, the W830 has a 2.7 inch screen and can shoot 720p HD video. 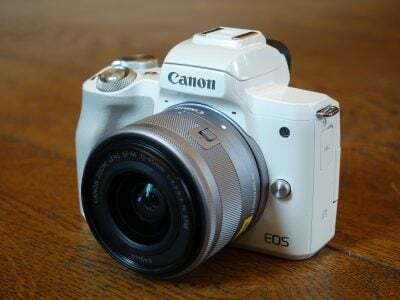 It lacks any kind of manual exposure control but has scene detect Intelligent auto exposure and also includes Sony’s smile shutter feature which takes a snap automatically when it spots a smiling face in the frame. Launched concurrently with the W830, the W800 and W810 offer a similar range of features and specifications with 5x and 6x Sony optical zooms respectively. Step up the range and the WX series offers better quality longer zooms, CMOS sensors a broader set of features and wi-fi connectivity. So is the Cyber-shot W830 the sweet spot in the middle of Sony’s compact range with just the right balance of features at a tempting sub $100 price point? Or could you do better? In my review I’ve compared the W830 with Nikon’s COOLPIX S3600 with which it has a lot in common besides the price. 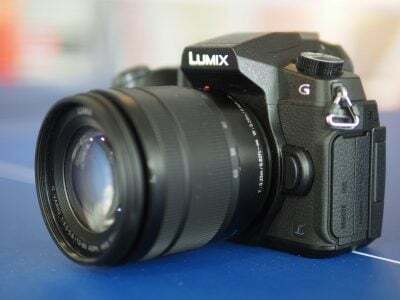 Read on to discover which of these two models provides the best combination of features and handling and whether they’re worth the little extra you’ll have to stump up beyond what you’d pay for a typical budget point-and-shoot with a shorter zoom range. If you’re looking for a compact that you can comfortably pop in a shirt or jeans pocket and forget about, the Sony W830 won’t disappoint you. It’s very compact, a few millimetres smaller in width and height than the COOLPIX S3600 and a few grams lighter. It’s a little thicker at 22.5mm against 19.9mm for the COOLPIX S3600, but that’s all down to the protruding lens bezel, the Sony W830 body is actually a little thinner. Comparing measurements tells you only so much though, the W830 looks and feels just a bit more compact than the COOLPIX S3600. Though smaller, the W830 isn’t as curvy as the COOLPIX S3600. It’s rounded at either end, but has a flat top plate and combined with the protruding bezel the overall look isn’t as modern and stylish, the S3600 may be a little bigger, but it looks a lot classier than the W830. And it’s not just about looks, the W830’s controls aren’t as functional as the S3600’s. The top panel is home to the flush mounted on/off button, silver coloured like all the W830’s controls and matching the silver strip which runs along the top panel. Then there’s the shutter release; there’s no zoom collar, the zoom is control via a rocker switch on the rear panel. The shutter button is lozenge shaped and, like the on/off switch, flush mounted. I had real problems with this. 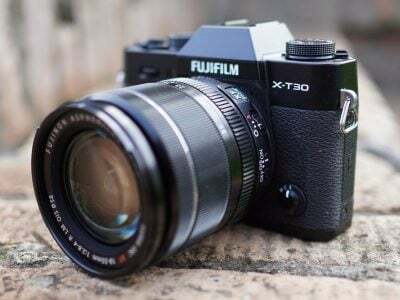 Firstly the button isn’t that easy to locate unless you look for it, secondly the half press distance, which activates the autofocus and exposure metering, is very small. It’s all too easy to accidentally go all the way and take a shot when you only meant to frame up, meter and focus. Moving on to the back panel, as I’ve mentioned, the thumb operated zoom rocker is located at the top right. Below it is a four-way control pad orbited by menu, playback and delete buttons. On the right shoulder is a black plastic sliding mode switch – the only control on the W830 that isn’t silver. It has three positions, the topmost of which is for the current shooting mode – set from the shooting menu. The middle position puts the W830 into Sweep panorama mode and the bottom position is for shooting movies. The W830 doesn’t have a dedicated movie record button, with the switch in the Movie mode position the shutter release is used to start and pause recording. To the right of the controls the rear panel is filled with the W830’s 2.7 inch 230k dot LCD screen. The best that can be said about this screen is that it’s adequate. Indoors and on overcast days it provides a decent view for composing and playback of photos, but the image isn’t fantastically bright. I didn’t find the comparatively low screen resolution a problem and there is an option from within the menu to select a higher quality display but I found the higher quality display a lot less contrasty and therefore more difficult to view in bright conditions – not much of an advantage for the reduction battery life that results. Speaking of which, with the display resolution set to standard, the Cyber-shot W830 is good for 210 shots on a fully charged battery. The COOLPIX S3600 does a little better on 230 shots and though neither is outstanding in this respect that a pretty average performance for an economy point-and-shoot compact. The W830’s battery is charged in the camera either using the supplied charger (check) or by plugging it into a laptop or other suitable power source using the supplied standard USB cable. It’s good to see Sony moving away from proprietary USB ports on its compact range as it means you can use any USB cable with a standard Micro B connector. The W800’s USB / A/V out port is located on the base of the camera – a little unusual (though not for Sony, which has tried this before). The W830 has a built-in flash set into the front panel just above and to the right of the lens (as you hold the camera). With a maximum range at the wide angle setting of 3.2 metres, it isn’t quite as powerful as the 3.5m range of the COOLPIX S3600 flash, but the difference is pretty negligible. If you’re comparing these quoted flash ranges it’s more important to appreciate that they’re usually calculated at 1600 ISO and if you’re shooting at a lower sensitivity setting the range is much shorter – under a metre at 100 ISO. That said, the flash on the W830 provides enough light for close subjects and is a useful fill-in. The Cyber-shot W830 has an 8x optical zoom lens with an equivalent range of 25-200mm. That gives you the best of both world’s – a very capable super-wide angle that’s ideal for panoramic landscapes, interior and group shots and a telephoto that’ll get you close enough to capture schools sports or foxes in the garden. There are compacts that’ll go as wide as 24mm and, of course, much longer zooms, but the W830 has what it takes to cope with the vast majority of photo situations. It’s no coincidence that the COOLPIX S3600’s 8x zoom covers exactly the same range, combining great wide angle coverage with a respectably long telephoto. The lens has an aperture range of f3.3 closing to f6.3 at the telephoto end of the range which is a little bit brighter than the f3.7 -6.6 lens on the COOLPIX S3600, the roughly 1/3 EV will make little practical difference in the absence of manual exposure control, but it does mean that in the same lighting conditions with the same aperture and shutter speed metered, the W830 will be able to set a slightly lower ISO sensitivity resulting, in theory at least in lower noise. Like the COOLPIX S3600, the Sony W830’s lens is optically stabilised – the lens elements are physically moved to counteract camera movement allowing you to shoot hand-held at slower shutter speeds and still get sharp results. On the COOLPIX S3600 stabilisation can be turned off which is useful for when the camera is mounted on a tripod, and when you want to make a comparison of results with and without stabilisation. But on the W830 Optical SteadyShot is always on and can’t be turned off. So in place of my usual with and without comparison, the table below shows two crops, the one on the left shot at 1/25 and on the right 1/10. The second shot at the slower shutter speed looks a little bit soft, so the W830 hasn’t managed to completely counteract the camera shake. 1/25 is three stops slower than you could ordinarily expect to shoot while avoiding camera shake without stabilisation; not as impressive as the 4 to 5 stops the COOLPIX S3600 is capable of, but pretty respectble all the same. With the mode switch in the Shooting position the Cyber-shot W830 has four modes available on the Shooting mode menu. Intelligent Auto employs scene recognition to identify the subject and set an appropriate scene mode. The W830 can tell if the camera is on a tripod allowing longer exposure times (but it won’t disable the stabilisation) or if there’s motion in the frame in which case it will increase the ISO sensitivity and use a faster shutter speed to arrest the movement. Program Auto still sets the exposure automatically, but provides access to a raft of other settings, giving you quite a lot of control over the the outcome. These range from basic options like ISO sensitivity, exposure compensation, white balance, focus and metering modes, to more subtle options like DRO (Dynamic Range Optimisation) for enhancing shadow and highlight detail. The self-timer menu is accessed by pressing the bottom position on the four-way pad. In addition to a 2 and 10 second countdown it has two further options which automatically fire the shutter when one or two faces are detected in the frame, so you can shoot selfies either on your own or with a friend without having to dash about, or stand around waiting for a timer to count down. There’s also the Smile shutter feature, activated by pressing left on the four-way pad, which automatically fires the shutter when a grin is detected – you can set the trigger point to one of three sensitivity settings. The W830’s SCN mode provides a choice of 11 scene modes including Soft skin, Portrait, Landscape, Night Scene, Gourmet and Beach. The W830’s scene modes feel a bit outdated and lack the composite modes on offer in the CMOS equipped WX series, it’s hard to see what they add beyond the automatic scene detection of Intelligent auto. 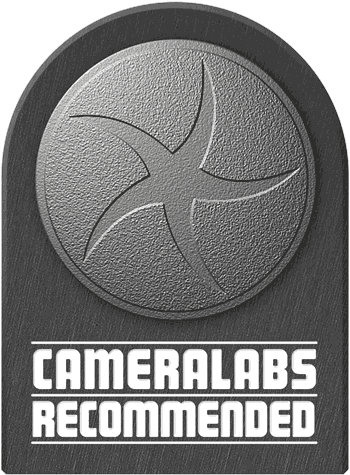 Having said that, although it has 18 scene modes on offer, the COOLPIX S3600 doesn’t really offer anything better. The W830’s Picture Effects are likewise a little disappointing. Numbering four in total it’s a meagre collection consisting of Toy camera, Pop Colour, Partial Colour and Soft High-key effects. Only two of them offer variants – partial colour lets you select red, green blue or yellow and there are Normal, Cool, Warm, Green and Magenta colour options for Toy Camera. The table below shows Pop, Partial colour and Soft High key on the top row with Toy camera Normal, Warm and Cool on the bottom row. With 12 special effect filters to choose from, plus a variety of quick effects that are applied as you shoot, the COOLPIX S3600 far surpasses the W830 in this area. Not everyone wants to play with special effects filters or tweak DRO settings and for those who prefer the simple life the W830 can be set to EASY mode which disables most of these options and presents a simplified large font menu and uncluttered display lacking the usual information overlay. Slide the mode switch down to the central position and you’re in Sweep panorama mode. At its simplest you just press the shutter, pan the camera and the W380 does the rest, producing flawless panoramas in a few seconds, but delve into the menu and you’ll discover a few options for bigger, better results. In Standard mode with the camera held in landscape orientation panoramas measure 4912×1080 pixels and cover an area of about 90 degrees. Switch to wide mode and you get a 180 degree sweep measuring 7152×1080 and in 360 mode you get an all-round view measuring 11520×1080. In Standard and Wide modes you can switch to portrait orientation for 3424×1920 and 4912×1920 images respectively. As you might have guessed from the sizes, Sweep panorama produces its results from a movie, rather than a sequence of stitched still images. Panoramas by their nature tend to have a least one backlit section which is likely to be prone to the purple streaking effect (see the video section below). That said, Sweep panorama has long been a staple in the Sony compact feature set and it’s great to see it on the W830 not least because it’s one feature the COOLPIX S3600 lacks, offering only the rather lame Panorama assist option for shooting overlapping single images for stitching outside the camera using software. The Cyber-shot W830 can shoot HD video at 720p/25/30 – the frame rate is dependent on the Video out mode – PAL or NTSC – selected in the setup menu. There’s also a 480p25/30 mode. The 720p HD mode is available in two quality settings, Fine and Standard. Both are encoded using the efficient H.264 codec and saved as a Quicktime file with a .mp4 extension. Movies are saved in a folder separate from JPEG photo files. The Fine 12Mbit/s bit rate means that each minute of HD video occupies around 90MB of space on a card or to put it another way, you’ll fit around three quarters of an hour of footage on a 4GB card. Switch to Standard quality and that figure increases to around an hour and ten minutes, but the longest you can record continuously is around 20 minutes in Fine quality, due to the 2GB file size limit. As I’ve mentioned, the W830 doesn’t have a dedicated movie record button so you must first push the mode switch all the way down to the movie position before starting recording by pressing the shutter release. This takes a little more time than it does on models with a dedicated movie record button like the COOLPIX S3600, but it does have the advantage that you can properly frame up your shot in 16:9 view on the screen before pressing the button. For a point-and-shoot compact, the W830 offers a good degree of control over movie settings, you can adjust exposure compensation by +/- 2 stops and manually set the white balance (there’s even an option to capture the white balance from part of the scene). There are two levels of movie stabilisation, Standard and Active steady shot, the latter for ironing out the kind of wobbles caused by shooting while walking along. Overall, Aside from the lack of a 1080p option, the W830 offers pretty good movie features. But the biggest advantage it has over the COOLPIX S3600 is quality. You can judge for yourself by comparing the video samples below with those from my COOLPIX S3600 review, but the W830’s H.264 codec produces better quality footage at lower bit rates, allowing you to fit more movies on a card. This first clip was recorded in the W830’s 720p25 Fine quality mode which is encoded at 12Mbit/s. The quality is good though the colour looks a little flat. Focus is steady as is the stabilisation, but you can hear the W830’s zoom motor in action on the audio. For this tripod mounted panning shot I used the W830’s Standard 9Mbit/s 720p mode which will allow you to fit more footage on a card. Despite the slight drop in quality it still looks very good, though there’s the purple streaking problem which afflicts all cameras with CCD sensors. The mono mic set into the top panel is also quite sensitive to wind noise. Here we’re back to the W830’s best quality 720p25 Fine mode. Noise is visible, but not terrible, on this low light interior pan. Again the AF behaves itself and Optical SteadyShot irons out the wobbles. To test the continuous AF, I zoomed the W830 in a little and panned from the coffee cup to the flower on the table then up to the bar and back again via the same route. Aside from a couple of mni-wobbles where the AF tracks in and out, the W830 does a very good job of keeping the focus on the subject. The W830 is a bit slow out of the blocks, taking well over three seconds to prepare itself for shooting when you press the on/off button. To be fair, most compacts in this price bracket will take at least a couple of seconds and most people are unlikely to notice the difference. You can of course leave the camera turned on, so you’re ready to capture the moment, but that will take it’s toll on the W830’s battery and power management isn’t one of its stand-out features. Basically, the W830 turns itself off after two minutes inactivity, there’s no sleep mode, like on the COOLPIX S3600. The W830’s menu system is pretty straightforward, which makes navigation fairly simple, but like the COOLPIX S3600 it lacks a quick menu of any kind which means that things (some) people will want to change of a fairly frequent basis – ISO sensitivity, focus mode, face detection) aren’t as accessible as they should be. That said, at least the smile shutter feature has its own button and Easy mode turns the W8300 into the simplest of point-and-shoots that anyone can take photos with. The W830 has no fewer than five AF area modes. The default multi point, is a nine area system which works in a similar fashion to the COOLPIX S3600, only it’s not quite so sure of itself and is less capable in low light. The W830 has two Centre AF modes with different sized areas, but unlike the S3600 it’s not possible to move the AF area around the frame. Tracking mode is initiated by pressing the centre button on the four-way pad once to initiate tracking focus and a second time to lock onto the target. In practice and in good light with good differentiation between the subject and background it works really well, unlike the COOLPIX S3600, you don’t have to first select Tracking AF from a menu, which is a big plus as it means your subject hasn’t disappeared by the time you’ve got the menu selection. over and done with. However one minor irritation is that when tracking AF is cancelled the W830 reverts to the Area AF mode rather then the previously set mode. Finally the W830 has face detect AF which can be turned on or off from the shooting setting menu. The W830’s continuous shooting performance is pretty mediocre at 0.8fps – lower than a frame a second, but it can at least keep this less than scorching pace up for a lengthy burst of 100 shots if you have the patience to keep your finger on the shutter for the two minutes plus it will take to shoot that many frames. Although the COOLPIX S3600 doesnâ€™t do much better at full resolution it does off a good range of reduced resolution continuous shooting features. The Cyber-shot W830 has a 20.1 Megapixel CCD sensor which produces still photos with a maximum size of 5152×3864 pixels. Photos are saved as JPEGs at a single quality setting which produces files around 8MB in size. The sensitivity range is 80 to 3200 ISO and the shutter speed range is 1s – 1/1600 in Program Auto and 2s – 1/1600 in Intelligent Auto mode. , B&H, or Adorama. Alternatively you could treat me to a coffee!